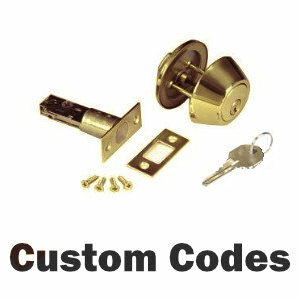 HUD key code door locks and deadbolts are available using the custom key code products below. Just tell us what HUD keycode & quantity you need and we will make it. Custom & HUD KeyCode Locksets$5.20Custom KeyCode & HUD code Door Locksets! 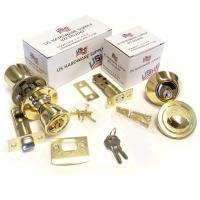 Brass finish door locksets with traditional knob design and lifetime anti-tarnish exterior finish. Includes 1 key, square corner faceplate, strike plate and all mounting hardware. Custom Made with your keycode.